You may have heard about Blackmart Alpha download manager. It is a very popular Android App just like Google Play which which lets you download free Apps and Games for your Android mobile phone or tablet from Blackmart market. In fact Blackmart has second largest number of Apps and Games after Google Play. You can also find various Apps which are paid on Google Play for free on Blackmart Market. The basic advantage of having a Blackmart App is that all the Apps and Games available there are free of cost. 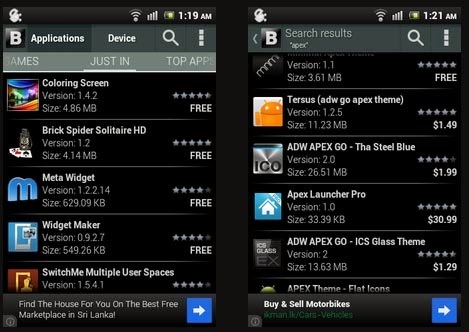 Most App developers their Apps and Games in the Blackmart market and Blackmart Alpha Android App lets you search and download your favourite App and Game for free! To download Blackmart Market App for your smart phone or tablet, download the the APK by clicking the hyperlink below to your SD card (sideload it). Then open your smart phone/tablet File Manager or ES Explorer and tap on the Apk to install. To download the APK please click on this link (version v0.99.3.37). Kindly remember this App uses peer to peer network to share APKs and has been REMOVED from Google Play. Also you may get get malware and trojans through this App. another good post indeed! since i am the old user among of this app, i would say it's one of d best app i've ever used. fyi: the version u mentioned is a bit mistyped. correct one is Blackmart-0.99.2.37 & the new version of Blackmart-0.99.2.46 is already out. This app is really good, better than aptoide, thanks so much!